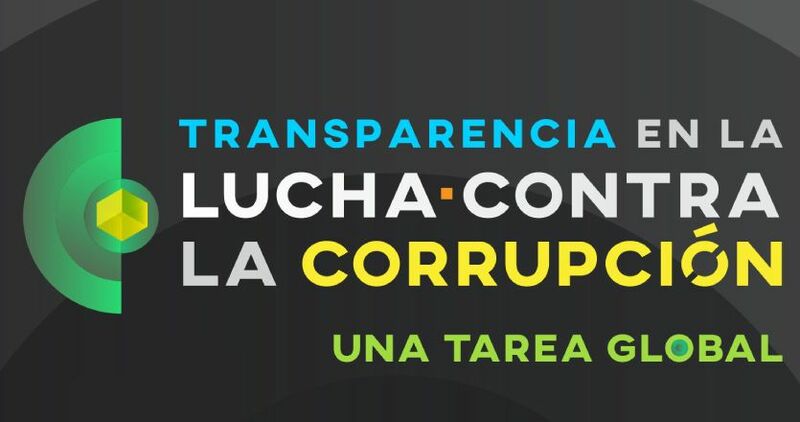 The National Institute of Transparency, Access to Information and Protection of Personal Data of Mexico (INAI) organized the event “Fight against corruption: a global task” which took place on December 7 of this year in the facilities of the Institute. The event was on the occasion of the commemoration of the International Day against Corruption, which, is celebrated on December 9 of each year. The purpose of this event was to raise awareness, among both participants and society in general, regarding the importance of fighting corruption, through coordinated public policies, at both the national and international level. The objective is to strengthen public confidence and integrity in public life by using transparency as a tool. The event was conformed by a keynote speech, which was followed by four panels. The panels were integrated by international speakers, academics as well as representatives of civil society organizations. The keynote speech, which was entitled “The new challenges in corruption”, was delivered by Dr. Jaqueline Peschard Mariscal. Dr. Peschard Mariscal gave an account of the activities carried out by Mexico´s National Anticorruption System (NAS) and the challenges that the System plans to address in the future . The first panel “International Experiences in the Fight Against Corruption”, and included the participation of: Dr. Duberlí Apolinar Rodríguez Tineo, President of the Supreme Court of Justice and President of the Commission of High Anticorruption of the Republic of Peru; Dr. César Romano, General Director of the Fight Against Corruption of the Ministry of Justice and Institutional Transparency of Bolivia and Dr. Ronald Víquez, Public Ethics Procurator of Costa Rica. Its purpose was to learn about international experiences and good practices, applied in Peru, Bolivia and Costa Rica, in the fight against corruption. The second panel “Transparency as a tool for the fight against corruption”, was integrated by: Carlos Adolfo Ortega Umaña, President Commissioner of the Institute of Access to Public Information (IAIP) of the Republic of El Salvador; Marcelo Drago Aguirre, President of the Council for Transparency of Chile; and Ana Paulina Sabbagh Acevedo, Advisor to the Secretary on Transparency and Access to Information in the Transparency Secretariat of Colombia. The panel´s objective was to learn about the experiences and best practices, focused on combating corruption, which have been implemented by the guarantors of access to information in El Salvador, Chile and Colombia. The third panel “Accountability for the Strengthening of Public Confidence”, included the participation of: Dr. Lourdes Morales Canales, Coordinator of the Network for Accountability, Dr. José Mario de la Garza, President of the Mexican Bar, Bar Association, AC; Dr. Issa Luna Pla, Coordinator of the Area in Information Law of the Institute of Legal Research (IIJ);and by Dr. Roberto Ehrman, Vice President of the Anticorruption Commission in the Confederation of Employers of the Mexican Republic. The panel´s objective was understanding the role that accountability plays in strengthening citizen confidence towards elected and non-elected public officials, as part of the fight against corruption. The last panel, titled “Reflections on integrity in public life”, involved the participation of: Dr. Raúl Contreras Bustamante, Director of the Faculty of Law of the UNAM; Dr. Pedro Salazar Ugarte, Director of the Institute of Legal Research of the UNAM; Dr. Rafael Martínez Puón, Executive Director of the National Electoral Professional Service and the INAI´s Commissioner Areli Cano Guadiana. The panel´s objective was to discuss what are the tools that would help promote and establish a culture of integrity, transparency and ethics in public life, in order to contribute to the fight against corruption and the strengthening of public confidence.